To the dedicated golfer, a day without golf is hardly a day at all. Imagining Christmas for these enthusiasts, Bill Phillips created "Christmas on the Eighth," a charming holiday tribute to those most loyal of hobbyists. “I expect that if they were really into it they would have gone out, cleared the snow off the greens and played a round of golf,” says the artist. 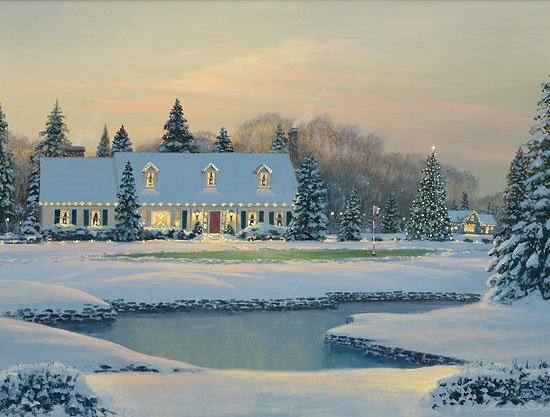 At the end of the eighth hole, though, it’s nice to have a warm, cheery house to which to return.